Wolfenstein 3D and Turbo C++! This weekend we added Wolfenstein 3D and Turbo C++ to the games and apps that you can run from our site in your browser with a single click. 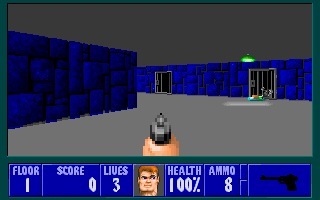 Wolfenstein 3D needs no introduction to anyone at all. Achtung! Just remember that you can now play in full screen by hitting alt-enter when NaClBox loads. 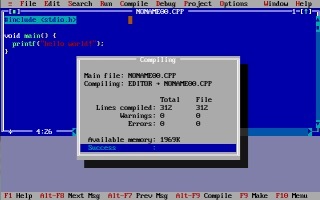 We also added Turbo C++. This is something new for us. It's the easiest way you can learn C++ on your computer. Absolutely nothing to install. The C++ is outdated, but still very relevant. It is an online compiler, debugger and IDE. You can write C, C++ and even assembler!